Terry Pratchett's Discworld becoming a cop show from Monty Python's Terry Jones? If you've been waiting forever for more live-action adaptations of Terry Pratchett's lunatic Discworld novels, you may not have to wait much longer. Sadly, it's not a Tiffany Aching sitcom — it's a police procedural about the City Watch. According to Bleeding Cool, the City Watch TV series will come from Prime Focus Productions, who created the three existing Discworld miniseries. And the crime-of-the-week scripts, set in the fantastic city of Ankh-Morpork, will be overseen by Gavin Scott and former Monty Python member Terry Jones, with Pratchett supervising. This team is already hard at work on a four-part miniseries based on Pratchett and Neil Gaiman's novel Good Omens, which was announced last month. Terry's universal success has seen him create one of the leading fantasy fiction franchises of all time, with 70 million worldwide sales of his 38 book Discworld titles (with a 39th being published in October 2011). Whilst there have been three successful mini series adaptations of his Discworld books made for television in the UK, this is the first time that Pratchett has granted a production company the international rights to his characters and world, for the creation of new stories exclusively for a television audience. Terry commonly refers to the City Watch police force series as "the jewels in the Discworld Crown." These richly developed and highly compelling characters will feature in a ‘crime of the week' episodic storyline. 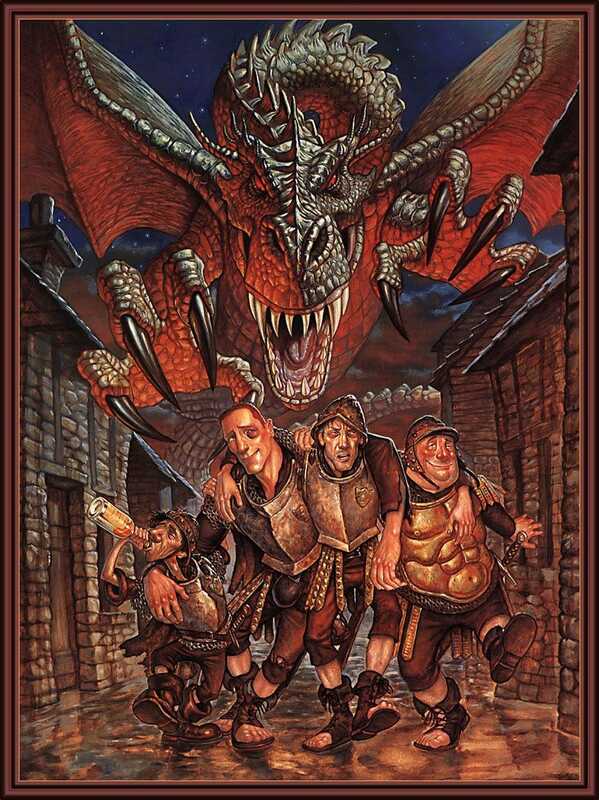 As each weekly adventure unfolds, viewers will be taken on a ride through Pratchett's genius imagination, with the author overseeing the creation of the series, where wild and exciting encounters with werewolves, dragons, dwarfs, trolls and golems and the classic heroes and villains, are an everyday occurrence…and where many of these characters even make outstanding crime fighters! Rod Brown, Managing Director of Prime Focus Productions said, "I believe that the globally successful Discworld franchise will readily translate to the small screen in the form of a high-end, mass appeal weekly drama series. It will give the audience the anticipation and excitement of brand new Discworld stories every week through the medium of television, rather than books. It's a huge responsibility to get this right for Terry, his legions of Discworld fans and the new followers to his work that we will attract along the way, but I believe they will be in for a treat with a high calibre writing team already attached, including ‘Monty Python's' Terry Jones and Gavin Scott (Small Soldiers, The Borrowers). We have already spoken to a number of international broadcasters who have shown early interest and we hope to move forward very quickly to bring this exciting project to fruition".